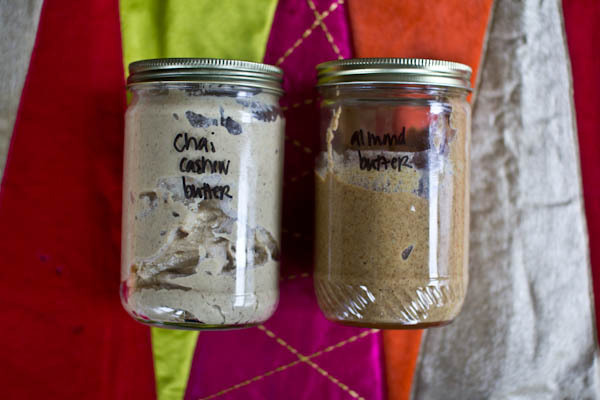 Last week Ashley from the edible perspective posted a recipe for chai spice mix. I love chai spices and immediately ran to my spice rack and mixed up the spice blend. Upon first sniff, I immediately knew that it was a winning combination. I then got to work using it. Since I already had the food processor out I decided to also whip up a batch of naked almond butter along with a batch of chocolate chunk peanut butter for gifts. 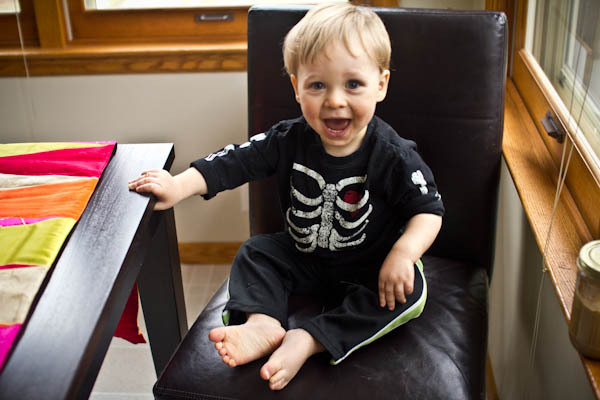 I hope to post about the chocolate chunk peanut butter + gifts later this week. I have a ton of new recipes up my sleeve, but have not had enough time to edit all of the pics and write up the recipes for you. If there is a recipe that I have mentioned lately that you are dying to make, please send me an email at maria (at) mariamakesmuffins (dot) com and I will try to get you the recipe. Combine all of the ingredients in a small spice container or jar. Cover and shake to combine. Place cashews in the large bowl (at least 12 cups) of a heavy-duty food processor . Pulse a few times to chop up the nuts. Scrape down the sides of the food processor. Turn on food processor and run until cashews turn into butter, scraping the sides of the processor as necessary to keep things churning. Be patient, this process can take up to 10 minutes. If after 10 minutes you do not have butter, add an unflavored oil (sunflower, safflower, etc.) 1 tsp at a time until butter forms. Be diligent and patient…. scrape, process, repeat. 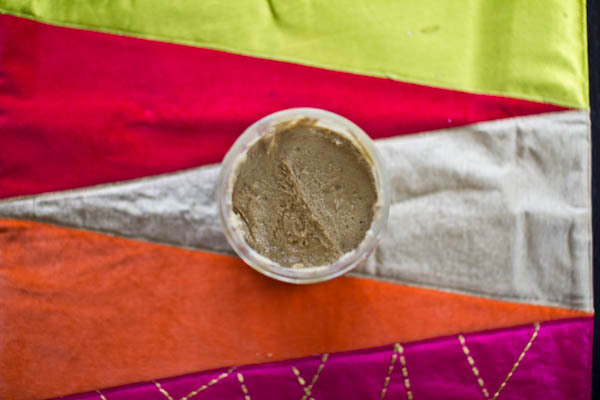 Once you have cashew butter, sprinkle the chai spice mix and maple extract over the top of the butter and pulse a few times to incorporate. Store in an airtight glass jar. I reused a nut butter jar. 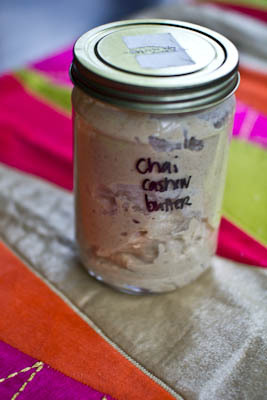 Chai with cashew butter sounds perfect! I’m out of cardamom, but need to stock up to make more chai spice! After making three loaves of gingerbread last week, I was completely out of ginger and needed to stock up. We are loving the chai spice so much! Tomorrow I am posting a recipe for Banana Chai Spiced Muffins (gluten-free and free of added sugar). How about some chai tea?